Home > Tucson > Poll 3: Tucson N Performance Version Or 7-Seat Model? 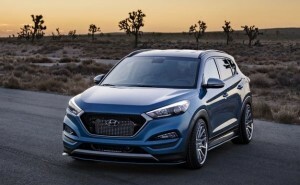 One of the most anticipated vehicles of the year is the brand-new Hyundai Tucson CUV, and it will get a chance to shine when it gets unveiled at the upcoming Geneva Auto Show on March 3. The official images of the new Hyundai compact SUV that have been released a few days ago showcase a vehicle that has a bold new design inside and out, with comfortable seating for 5. As exciting as all of this is, there are many who believe that the Tucson crossover vehicle family will be getting some cool new additions in the coming weeks and months. The question that we have is what type of Hyundai Tucson would best suit the specific needs of you and your family? Of course, before you can answer that, we should take time to tell you a little bit about what may be coming in the future. The first option is believed to be a 7-seater version of the Tucson that will obviously offer more interior space for passengers and cargo. That would mean a third row of seating to make space for more passengers. It would also mean lengthening the current model and making a few design tweaks along the way. 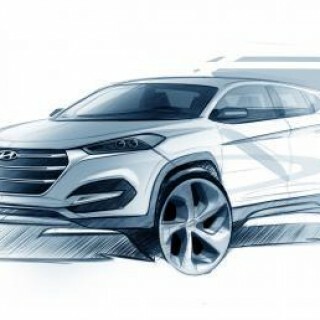 Another option being considered is a performance variant of the Tucson, which would fall under the N Label from Hyundai. This would almost certainly encompass a design that is much more on the sportier side of things. It would also likely feature a more powerful engine under the hood, and driving characteristics better suited to the fun driver as opposed to the family driver. For now, it will be the model unveiled in Geneva that will be available to buy later this year, but given the option of other 2 variants mentioned here, which would you choose, the Hyundai Tucson N or Tucson 7-seater?